The Indian Market is coming soon! 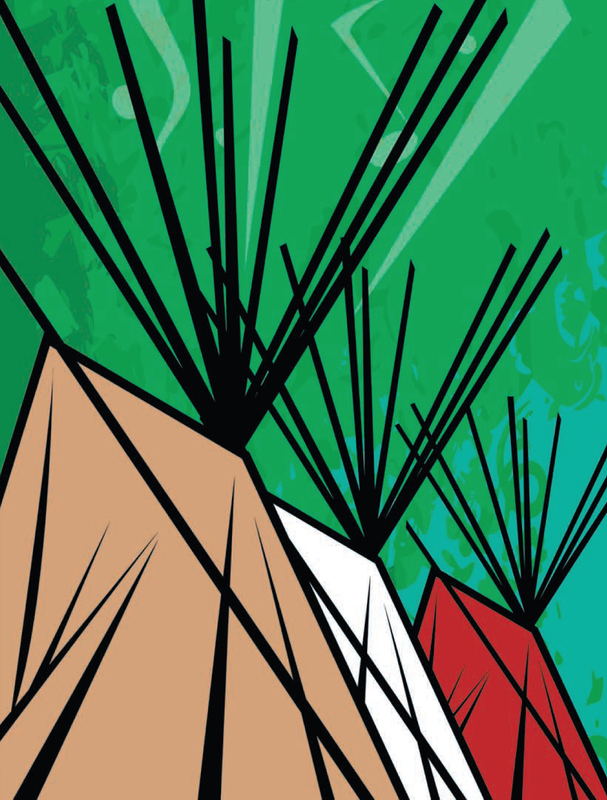 The 2010 edition of the Fort Collins Indian Market is coming up on May 15-16. Presented by the Fort Collins Museum & Discovery Science Center, the Indian Market is two days of Native American music, arts, and crafts in Old Town Square. We are happy to once again be hosting nationally-recognized Native American artists who will offer pottery, basketry, bead work and more, with musical performances both days. The Indian Market is free and will be open both days from 10:00 am through 6:00 pm. Start off each day with traditional drumming and dancing by Colorado State University’s own Ram Nation. Other musical guests will include singer-songwriter Kurt Humann, singer-songwriter Scotti Clifford from Pine Ridge, South Dakota, Fort Collins’ own singer-songwriter Cary Morin, and the Pura Fe Trio, based out of Portland, Oregon. Indian Market is one of the great Fort Collins weekends of the summer — please join us! I’m still recovering from New West Fest, although ultimately I didn’t work nearly as hard as the people who coordinated the event. The Museum set up an activity station within the Bohemian Nights’ Kids’ Music Adventure, which was located in our Heritage Courtyard. We focused our station on the “Science of Sound,” an exploration of how sound waves behave in water, along strings and in glasses of water. There’s nothing quite like the expression on a child’s face when they see something totally unexpected for the first time, such as when, after striking a tuning fork, they dip it into a bowl of water and watch the sound waves ripple through. I particularly remember the little girl who, upon making a craft stick harmonica, finally after many tries produced a note on that homemade instrument and just beamed. I hope that these kids continue to enjoy and explore music. I hope our city continues to provide these opportunities for music enjoyment and exploration. I know of one girl whose hometown encouraged her exploration of music: Melissa Etheridge, who headlined the Bohemian Nights musical lineup at New West Fest. I’m pretty confident of that statement because I graduated from the same high school as she did, although about a decade later. At the time I was in high school, Melissa has just released her first album, was touring the country, and making regular appearances on David Letterman. The story of Melissa’s ascent in the music industry was common knowledge in the small community of Leavenworth, Kansas. Her father taught Psychology as well as the American Government class that all seniors at the high school were required to complete. He was so proud of Missy, as he called her, that we students could earn bonus points if we knew what city Melissa was playing, or on what TV show she had performed the night before. In the days before the Internet, this required some sleuthing on our part and Mr. Etheridge rewarded us handsomely for our knowledge. “Melissa was on David Letterman last night,” someone would say. “That’s 50,000 bonus points for you!” Mr. Etheridge would award with great enthusiasm using a carnival-barker’s tone. I thought of Mr. Etheridge and many of my (and for that matter, Melissa’s) teachers on Saturday night as I sat in Library Park watching the simulcast of Melissa’s performance on Mountain Avenue. She made a point of reminding our community to cherish music. “Keep music alive, and you will thrive,” she said. Our little town in Kansas didn’t have big, free music festivals with such big name stars, yet I know Melissa’s music teacher (Lester Dalton for those keeping score – no pun intended – who, by the way, is still very active in music-circles in Leavenworth) kept music alive for her and thousands of other students through the years. Here in Fort Collins, we have so many more resources available to our children to keep the music alive, with the Bohemian Foundation being an obvious leader in this. The City of Fort Collins offered free concerts in Civic Center Park on Thursday evenings all summer. The Taste of Fort Collins also included free performances throughout their festival weekend. Free music can be heard at Oak Street Plaza, in Old Town Square, and of course at the Museum’s own annual Indian Market. I could go on and on but the bottom line is that the cultural enrichment our thriving music scene provides our community is invaluable. Coming from a small town that did not have this same depth of music-listening opportunities, I appreciate the opportunities these events provide for me and my family to spend time together. So, as I sit here in my office looking over the trampled grass of Library Park, rubbing aloe on my sunburned neck after two days in the sun making craft stick harmonicas, and mentally tabulating how much stuff I still need to clean up and put away, I remind myself how lucky my family and I are to live somewhere where this kind of FREE music-focused event happens. The grass will grow back, my sunburn will fade, and I will eventually get that stuff put away. But I will always have that moment of discovery with the little harmonica playing girl, seeing the impact of keeping music alive and helping her thrive. If we continue to support our local musicians, music schools, and music venues, maybe in the future that little girl will be up on a New West Fest stage playing and singing her heart out just like Melissa did. It was another gorgeous Colorado weekend and a fantastic time down in Old Town Fort Collins for the Fort Collins Museum’s annual Indian Market. Over two dozen Native American artists and craftspeople from six states were on hand with a wide variety of beautiful wares; Ram Nation kicked off each day with traditional drumming and singing, and then festival goers were treated to contemporary Native American music by Scotti Cliff and the Briggs Brothers, Plateros, and Casper and the Mighty 602. A huge thanks to all of our wonderful volunteers who help make this such a great event, especially Anita and Cary Morin, Linda Aguilar, and Kim Tamkun (and family)!